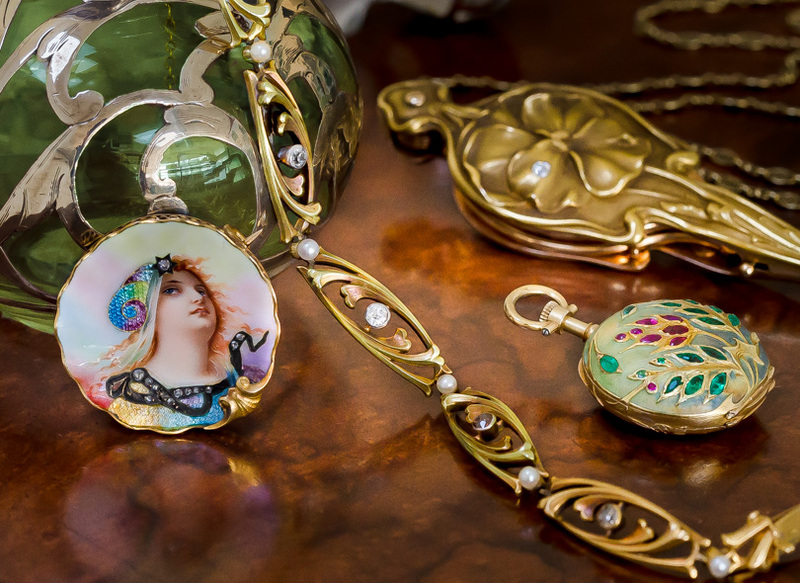 Seed pearl-studded double-whiplashes envelop a central square-cut Peridot set on the bias, culminating in a free-swinging freshwater 'wing' pearl and crowned by a tiny twinkler in this original Art Nouveau lavalière necklace - circa 1900. 14K yellow gold. 1 3/8 by 1 inch, with a total length of 14 1/2 Inches.